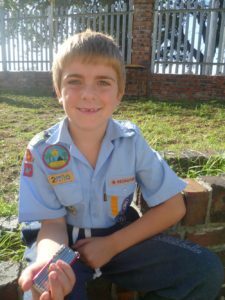 We spoke to Thomas Franz (8) from 1st Rosebank Cub Pack in the Western Cape. I like picking up litter, doing lots of fun stuff and going on camps! 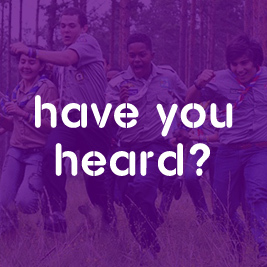 My best experience was going to our Scout Ranch called Hawequas. I loved that! Billy Beef and Beans was the weirdest thing I ate outdoors. The toughest challenge was hiking up the mountain at our Scout Ranch. The most amazing place I visited with Cubs was Table Mountain. I learnt about all the different types of aliens. By picking up litter at the Rondebosch common we helped people in our community. I taught my mum all the types of aliens. A good Akela teaches us a lot. My Akela is special because he teaches us a lot and he helps us make toys! Cubbing Rocks because …It is fun! I have learnt to Never give up! Cubbing Rocks because … it is AMAZING!